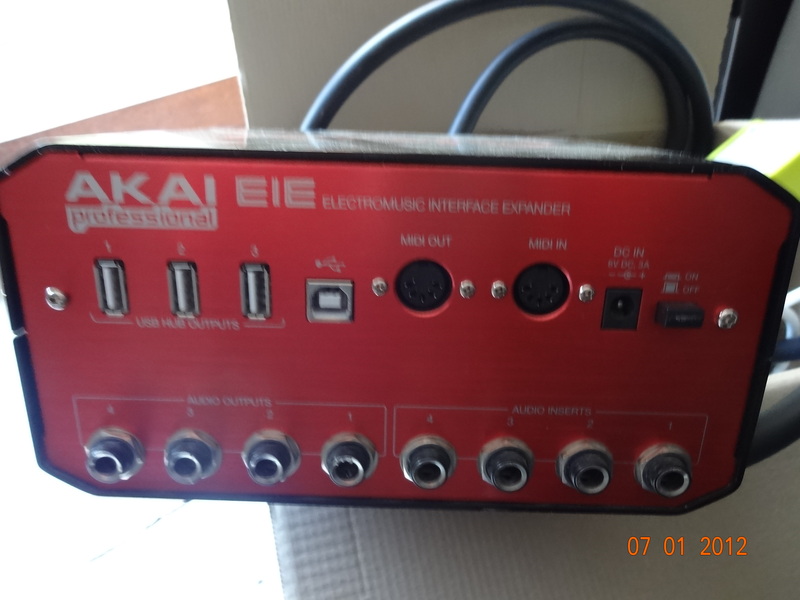 EIE I/O, USB audio interface from Akai. Anonymous 's review (This content has been automatically translated from French)" good value for money"
as c is four separate inputs and outputs, which in this price range is not easy to find. well if you have several MIDI controller, the "integrated usb taken are not negligible. everything works fine in ableton live and is plug and play. the VU meters c is more for decoration, they are mainly used in case of saturation level déentrée and are not very accurate. then the drivers no problem before that if I tested the m-audio fastrack pro .. that I have sold after a week because it is too unstable. if we do not want to take the lead, it unpacks and branch, and it works. after four audio inputs, or insert (on the rear) four separate outputs and a headphone output all in a metal case for less than two hundred euros .... so it works but it's not and protools hd huh. .. So for those who are of electro, and are just taking some instruments without (ie not need a mega seen after resolution we will use the plug ... it will completely deal. on my mac with no audible latency recorded four tracks simultaneously. I use it for 6 months. 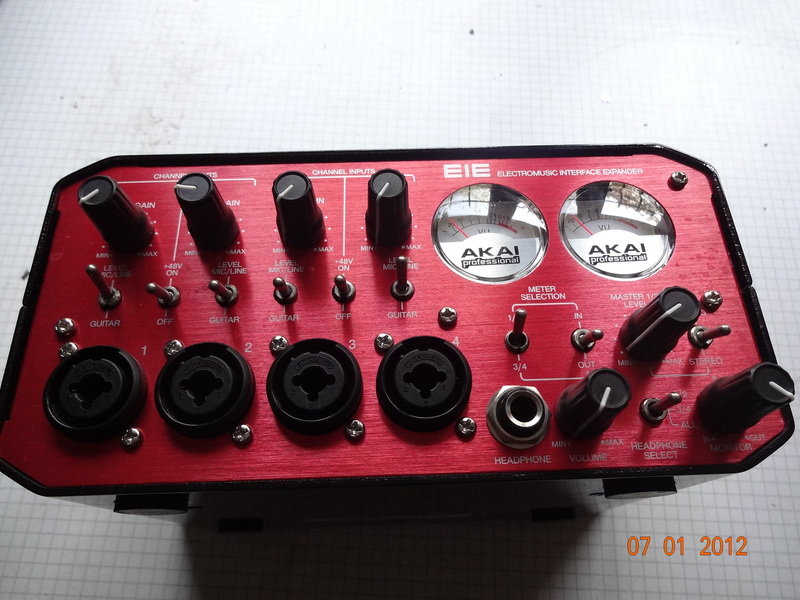 the price is excellent and it's still solid akai. and experience with the same budget I would do this choice. but it works ... more time on music and less to take the lead. 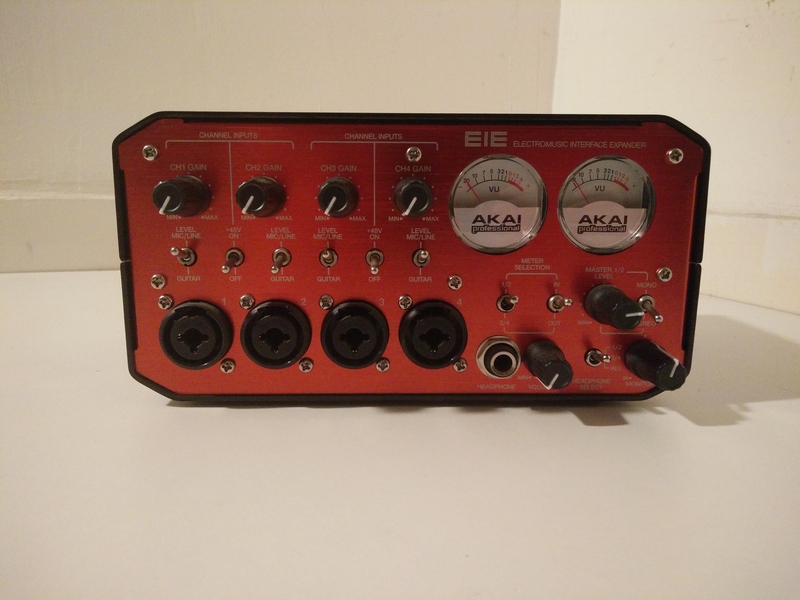 jtheb's review (This content has been automatically translated from French)" Good gadget"
The features are probably what is most interesting in the AKAI EIA. The ASIO4ALL driver, well I had no problems with before, so I have not encountered any more problems. Big plus point: No lag! This is a very sound card gadget. For example, the meters are not used much due to their vagueness / sensitivity. The sound quality and the quality of the preamps is pretty good value. on the other hand, it is certain that it does not hold in the face of his cards twice as expensive. The only major problem with this soundcard is that the tone is very low. I often have to normalize my tracks, even if I configure everything so that the sound is correct volume. I've had two weeks. I would say that this sound card provides many opportunities for the price (gadget, look, functionality). There is no latency, and the sound quality is good. 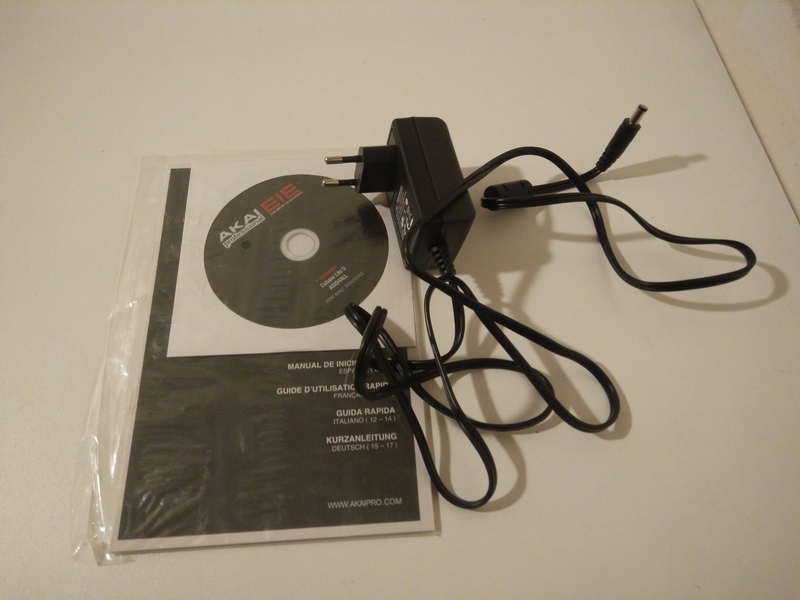 on the other hand, if you need two inputs and less, I would recommend perhaps another sound card, because the problem of low signal noise is very disturbing. 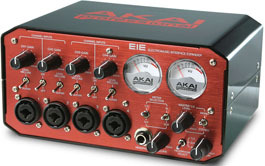 Akai Professional announces the new EIE I/O audio interface and USB hub.